There are no set entry requirements for healthcare assistants. The usual standard requirements for employment apply such as good literacy and numeracy skills with GCSEs (or equivalent) being the norm. Most employers ask for healthcare relevant experience or a healthcare qualification, such as an NVQ or the newer QCF model. In 2011, QCFs replaced NVQs, allowing a more flexible learning experience where delegates can choose from over 100 units to study. This allows the individual to mix and match skills that are appropriate to a preferred career path. One option recommended by the Care Quality Commission is the Care Certificate. The care certificate programme is specially designed to help carers and healthcare professionals reach an accepted standard in the healthcare industry. It covers 15 standards ranging from Duty of Care, Health and Safety to infection prevention and control. The course can be learnt online at the individuals own pace and covers the basic healthcare assistant skills needed for entry level into the healthcare sector. While a lot of Healthcare assistants remain at this level, some may decide to become registered nurses. This career path requires a nursing degree and although it will mean several years of dedicated study it opens additional doors to those that complete the course. People interested in obtaining work as a registered nurse should complete a training program at an online school (such as the Open University) or traditional university. They must also be registered with the Nursing and Midwifery Council (NMC) where they’ll choose one of four nursing specialisms to study. These include adult, children, mental health, or learning disability. Nursing requires clinical decision-making skills with technical competence at a level that is much higher than that expected of Healthcare Assistants. The course, therefore, is split with the applicant spending half their time on the nursing degree and a half on supervised placements in the community or local hospital settings. This approach helps teach students to provide hands-on, compassionate care for the sick, disabled, and elderly in a variety of settings. While students have some lecture-style classes, most focus on teaching specific skills in a laboratory or mock healthcare setting. They learn specific duties such as taking vital signs and re-positioning someone with limited mobility. Classrooms in an on-campus setting have a variety of medical instruments available for students to practice using. This is to give them a realistic sense of what it is like working as a registered nurse. Some universities also assist students with finding work after completing their studies. If you are interested in applying for a nursing degree, you can find out more by visiting the NHS Careers website to find a university degree in England. No two healthcare assistants are the same, but they do need to possess certain personal characteristics to serve patients well. As a healthcare assistant, it’s important to remember that patients are often at their worst. Helping them meet their health goals requires patience, compassion, strong communication skills, and the ability to change course when the situation requires it. However, prospective candidates don’t have to be born with these skills and traits. They can learn them from their degree classes, onsite experience or through online courses. 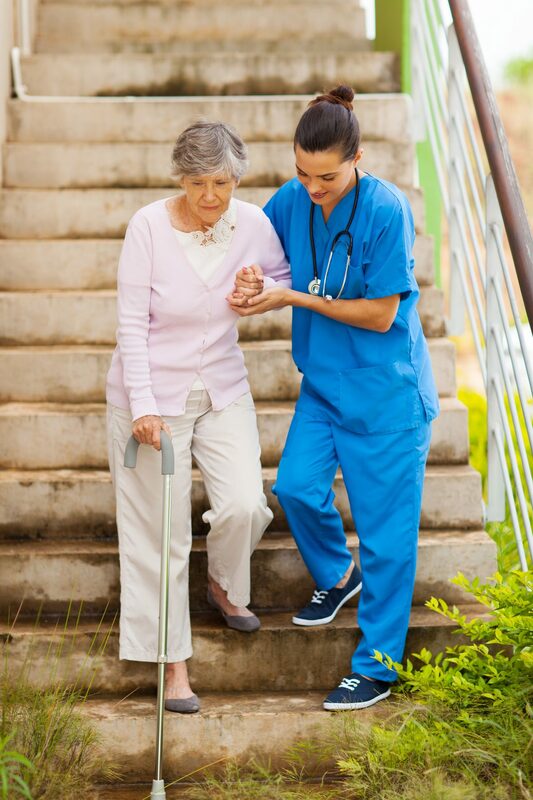 People who need the service of a healthcare assistant may be sick, in pain, or no longer able to care for themselves due to advanced age or physical disability. The ability to empathise with a patient and see themselves in the same situation is an essential trait any healthcare professional. Healthcare is a rapidly evolving industry. That means trainees must adapt to new situations daily, sometimes several times a day. It also requires the ability to prioritise what needs immediate attention and what can wait just a little while longer. In nursing, two days are never the same. One day may have a nurse or healthcare assistant doing only patient care while much of another day consists of completing paperwork. The ability to adapt is core trait in healthcare as the individual must never be so inflexible that it affects the quality of patient care. One thing healthcare workers learn is that this line of work requires a great deal of cooperation with other healthcare professionals. They need to communicate with others at shift changes and other times to ensure excellent patient care. Since healthcare workers often have different ideas on how to best care for patients, being a team player means compromising and considering other ideas. Effective communication skills are essential since a healthcare worker speaks to people in many different roles throughout the day. These include the patient, his or her family members, doctors, nurses, administrators, and other staff. The healthcare professional must tailor his or her message to the intended audience. For example, patients with cognitive difficulties may require others to use simpler terms and speak slowly while doctors are often in a hurry and need the nursing staff to get to the point. Communication is one of the key healthcare assistant skills most professionals highlight in their day to day activities. Nursing can be a physically and emotionally exhausting job. Those who do well in this profession know that they need to work hard every day. They report to the job willing to do whatever is necessary for the good of the patients, sometimes at the expense of missing meals or working more than 12 hours straight. A good healthcare professional knows that the job often requires self-sacrifice, but he or she is happy to do it. Organisations dedicated to healthcare professionals report that they provide up to 90 percent of direct patient care. This means they need exceptional attention to detail to notice subtle differences with their patients from day to day. Behavior such as inattention to grooming, forgetfulness, and sleeping more than usual could all indicate an important health change that a nurse should report to a doctor. A healthcare professional must also pay close attention to detail when reading and writing in patient charts. Patients who feel frustrated with their health or limitations may take it out on the closest person, which is a nurse of healthcare assistant in many cases. The ability to remain patient with complaints or even aggression is essential to providing great care. A nurse or nursing assistant should not take these things personally. Instead, he or she needs to empathise with the fact that their patient is scared, frustrated, in pain, or even angry. This has to do with the situation and not the person providing care. Nursing is not a profession that allows people to sit down very often. A new healthcare assistant should expect to spend most of the shift on his or her feet, which can be physically exhausting for those who are unaccustomed to it. A nursing assistant often helps patients out of beds and chairs, re-positions them, and pushes carts containing heavy equipment. The best way to meet the physical demands of the job is to get plenty of rest and exercise along with maintaining healthy eating habits. People feel attached to those they care for every day. It can be emotionally difficult for the carer to see patients struggle or have them pass away. Meeting the demands of everyone involved can be emotionally challenging as well, especially when they conflict with one another. It’s important for the professional care worker to leave work behind as much as possible at the end of the day. He or she needs to have outside interests that allow for emotional, physical, and spiritual refreshment to avoid caregiver burnout. Those who have few of these characteristics or who can’t see themselves developing them will likely not enjoy working as a certified nursing assistant. Before pursuing work as a healthcare assistant, care worker or registered nurse, it’s a good idea to go through career aptitude testing or arrange to job shadow someone already working in this position. At Online Care Courses, we offer a range of courses that aid development. This article “Healthcare assistant skills and qualifications | Registered nurse skills” was produced by Online-Care-Courses.co.uk as a free document to trainees and website visitors.